Arbor House Inn Bed & Breakfast on the River proudly offers specialty packages, “thank you” discounts, and a number of a la carte items to add to any stay to make our guests’ bed & breakfast experience even more memorable. 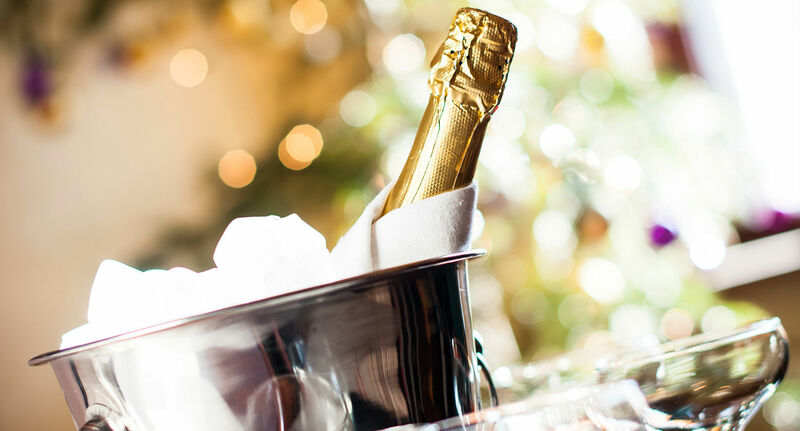 Whether it’s a Colorado honeymoon, babymoon, special anniversary or birthday celebration, or simply a retreat from the work-a-day world, just let us know what you’d like, and we’ll put it all together. Please select any of the following to have waiting in your room upon arrival or scheduled for a secret and timely delivery. This romantic, riverside bed & breakfast aims to make your special occasion a true celebration! Customized bouquet of flowers – $65. 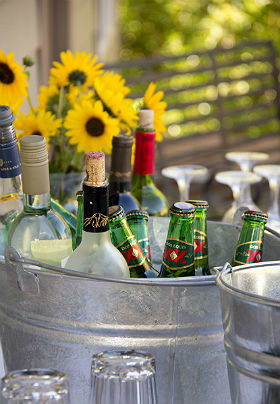 Iced bucket with bottle of red or white wine, champagne, or sparkling cider- $35. Basket of select cheeses, gourmet crackers, fruit, and cured meats – $35. Pizza, beer or soda, and an in-room movie – $35. Chocolate-covered strawberries (seasonal) – $20. Delicious dessert of creamy cheesecake & berries served “under glass” – $20. Package includes two, ½-hour massages or one, 1-hour massage for $85. Two, 1-hour massages are also available for $160. Our licensed massage therapist will come directly to your guestroom, and massages will be scheduled back to back. Schedule a portrait session on property through our recommended in-house professional photographer during your stay. Package includes one hour of shoot time, professional editing, CD of digital files, online album for viewing and sharing. 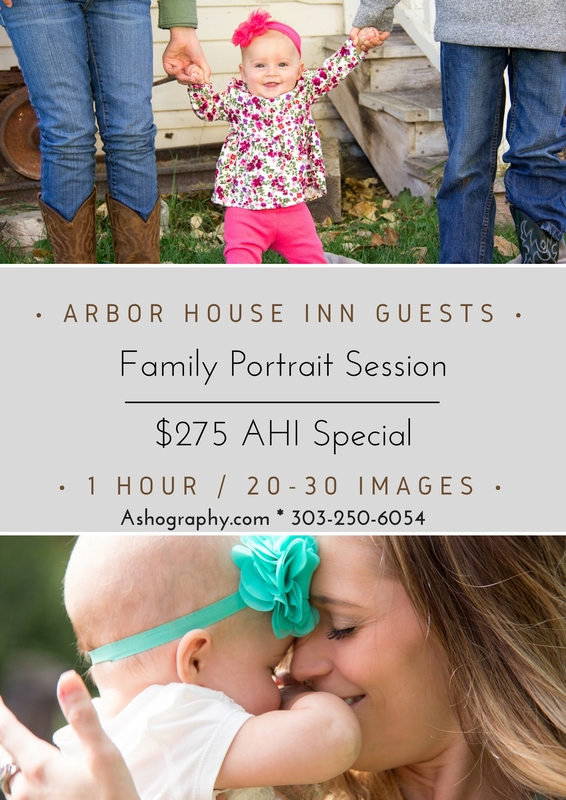 Normally $375 for an hour session with 20-40 proffessionally edited photos, the Arbor House has specialty pricing with this package offered to Arbor House Inn guests for $275. Schedule your appointment directly with the photographer in advance through Ashography Portrait and Event Photography. An additional fee may be necessary if photographer travel time is required. Package includes two spa passes to Pagosa Hot Springs, tote bags with terry robes, iced bottled water, towels, and take-along snack sacks to keep you refreshed on your day of pool hopping. Packages includes wraps, sandwiches, or pasta salad; seasonal fruit; chips; simple dessert; and your choice of sparkling water, iced tea, sodas or lemonade. For our loyal guests who are frequent flyers to our establishment (minimum of two separate stays), we would love to offer a 10% discount when bringing along friends or family as first-time guests of the inn, also booking one or more nights at the same time. As a special thank you to all our active duty military guests, please bring your military ID and enjoy 10% off your room rate at Arbor House Inn Bed & Breakfast on the River. We thank you for your service and are honored to have you. Please call or email at least 48 hours prior to check-in to ensure a la carte item availability. Professional Photography add-on is subject to availability in photographer’s busy schedule. Discounts are applied to room nights only. 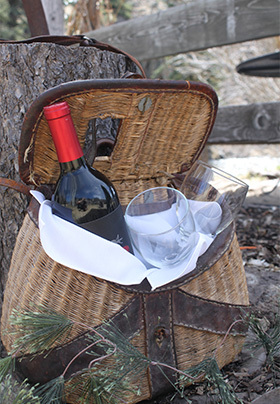 We look forward to customizing your experience and making your moments here in South Fork extra memorable!